Since release 1.46 SAP IoT Application Enablement provides a feature to send commands from Application Enablement directly to your device. Therefore, Application Enablement can not only store your thing data now, it can be the control center for your IoT scenarios. There is a strong demand for this features in a lot of use cases. In this blog post, we will get you up and running with this new feature. We are going to model a robot with one component, the robot arm. The goal is to send a command to the hydraulics of this robot arm. The command will be send to Application Enablement. 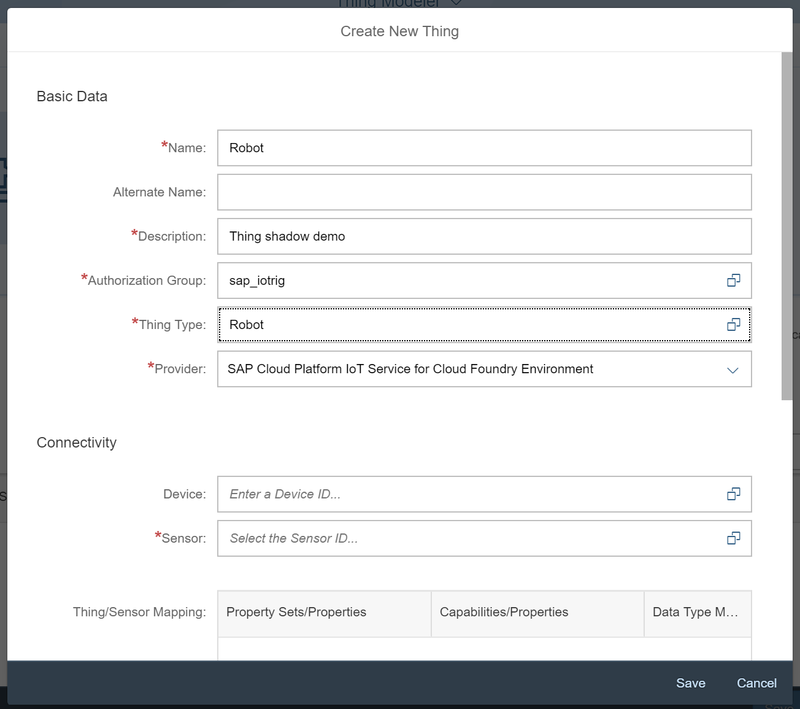 Application Enablement will forward the request to the SAP Cloud Platform Internet of Things for the Cloud Foundry Environment, which will send the command to the device via MQTT . Please make sure that you enter the host without the protocol “http://” . For instructions on how to use the API of Application Enablement please read the referenced blog post . Please note down the id of both capabilities. Please note down the id of your sensor type. "gatewayId" : "<mqtt gateway id>"
Once again, please note down the id and the alternate id of your device and your sensor. Now, we will create a Thing in Application Enablement. We are going to model a robot with one arm. At the end of this blog post, we are going to send commands to this robot arm via MQTT. A PropertySet for the robot arm with a property Hydraulics. We will send commands to this property hydraulics of our arm at the end of the blog post. A ReferencePropertySet for this robot arm: This reference property set will “shadow” our PropertySet and will store all commands. Within this shadow we will define a property type of attribute type com.sap.iot.core.Command to send a desired value to our robot device modeled in IoT Services. When we update or change the value of the property type, the command will be send to our device. A ThingType for our robot, which includes our shadowed PropertySet robot arm. A package with the above described configuration is created by the following API call. Please make sure that you replace “sap.iotrig” with the name of your tenant. Next, we will go to the thing modeler and create a thing there. At first, please familiarize yourself with the created ThingType Robot in the package thingshadow. You will see, that our robot type has a command field in the property Hydraulics. Please note down the id of your thing. To check if everything works as expected, we will send and receive commands via the User Interface now. When you click the save button, the command will be sent to our device. To validate, that the command arrived in IoT services we will have a look at the command logs in the IoT Services cockpit classic. The result will be a table like this, which should include a command. 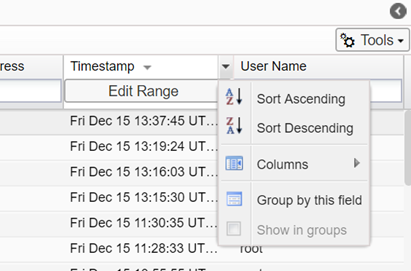 You can identify this command with the “sendCommand” entry in the column “API”. If you can see such a command entry here, everything looks fine up to this point. If not, please go through the steps again and make sure that you have executed all the described steps. In the next steps, we are going to send a command via the API as you don´t want to send command out of the ThingModeler in a productive scenario. We will then subscribe to commands sent to our device´s MQTT gateway. 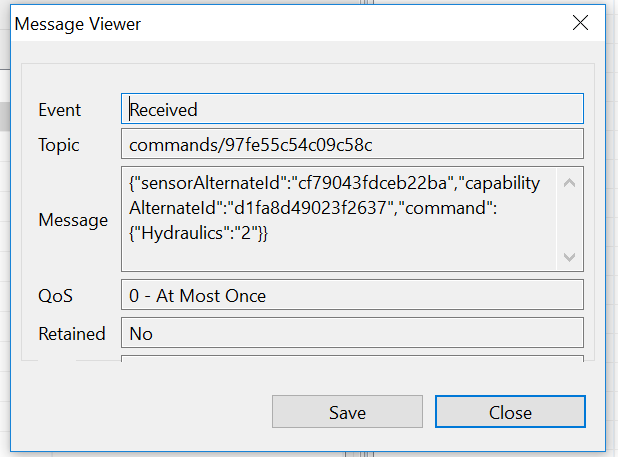 Furthermore it´s possible to send commands via the API of Application Enablement, e.g. to trigger the command automatically from another system when a condition is fulfilled. This can be achieved with the following API call. Please add your thing id, replace “sap.iotrig” with your tenant and update the time stamp to the current time. This call will send the command “2” to the created in the previous steps device. You can download the certificate of your device directly from the Cockpit of SAP Cloud Platform Internet of Things for the Cloud Foundry Environment. In a real world scenario, you would subscribe your device to this MQTT topic and trigger an action in case a specific command arrives. That´s it! I hope you could follow all the explained steps and got an overview of the new capability of SAP IoT Application Enablement. Feel free to ask your questions in the comments. The property must be adapt, to the new one? currently both attribute types are supported, but the type “com.sap.iot.core.TargetValue” is recommended. “com.sap.iot.core.Command” is deprecated was removed from the documentation. Would it also be possible to create the “ReferencePropertySet” in the Thing Properties Catalog? Or do we need to use the api for that? as far as I know, it´s only possible via the API. Tried all steps mutliple times but I’m not getting any result in the command log… any ideas? I had to logon to the iot cockpit with the root user to see the command. I folloved your instructions, but no commands were published. Both Paho mqtt tool and python mqtt client show nothing. Is this blog still up to date? There is no command log in the current version of IoT Cockpit. Are the commands that where send by AE saved somewhere? In my opinion a command sending can be seen as an event, why not store it in the event list?